From inserting the lux.js beacon in your pages to creating custom metrics and charts, everything you need to know to get started. 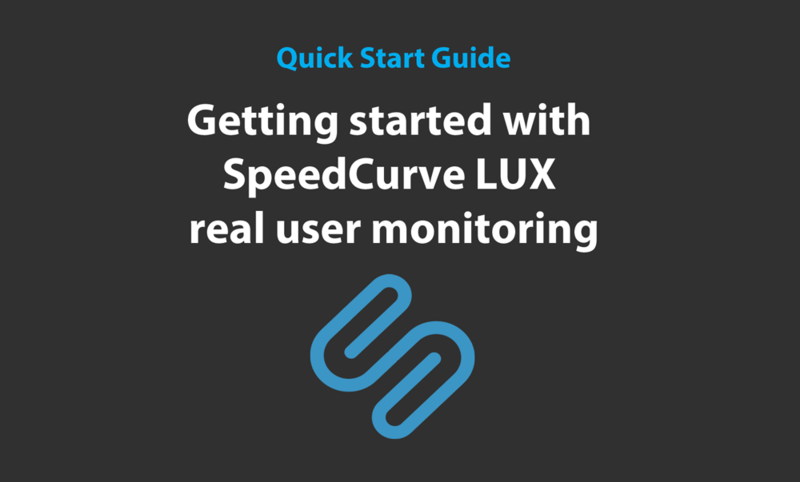 We created this guide to help you start your LUX real user monitoring as quickly as possible. If you have any questions that aren't answered here, send us a note at support@speedcurve.com. 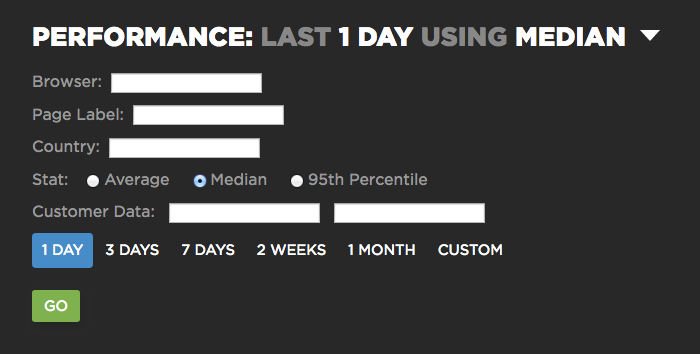 If you're not already a SpeedCurve user, sign up for your free trial. It only takes a minute, and there's no credit card required. 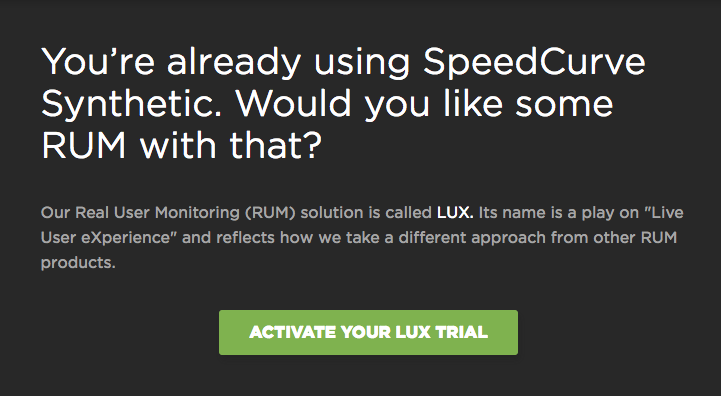 Copy your custom LUX snippet for use in step 3. Specify the domain(s) where you'll be inserting the LUX snippet. Hit the "Start LUX" button. If you copied the snippet from step 2, then you can paste it directly in your page. You can also get the snippet at any time by going to Settings > Edit LUX. The lux.js script is loaded asynchronously so it won't harm the performance of your site. It's best to put the LUX snippet as early in the page as possible, i.e., at the top of the HEAD element. You can set your sample rate under Settings -> LUX. The default sample rate is 100%. You should change the sample rate to a value that matches the LUX plan you want to sign up for. For example, if your site typically gets 900 million page views per month, and you want one LUX plan that covers a maximum of 10 million page views per month, then set the sample rate to 1%. How many RUM page views do I need to monitor? Your LUX dashboards offer a number of lenses into your user data. Take a quick dashboard tour to find out what you can learn from each one. By default pages are grouped by their page title, but you'll want to use page labels to group your pages by type or template. This makes it much easier to compare the performance of different parts of your site. Page labels also let you compare your LUX and Synthetic metrics so you can see how they match, and then tune your Synthetic tests to better simulate your real user performance. It’s great to have standard metrics, such as onload time and start render, that work across all web pages. But these metrics don’t tell you about important things you care about, such as how quickly your ads and third parties are rendering, or how fast your site appears to users. LUX includes numerous default metrics collected from real user web pages, such as page load time, DNS lookup time, DOM size, etc. It also records User Timing marks and measures. But sometimes there's other information specific to your site that you would like to track. You can add Customer Data to LUX by using the LUX.addData API. LUX gives you dozens of curated default charts right out of the box. Ultimately, though, you'll want to go deeper into your specific user data. 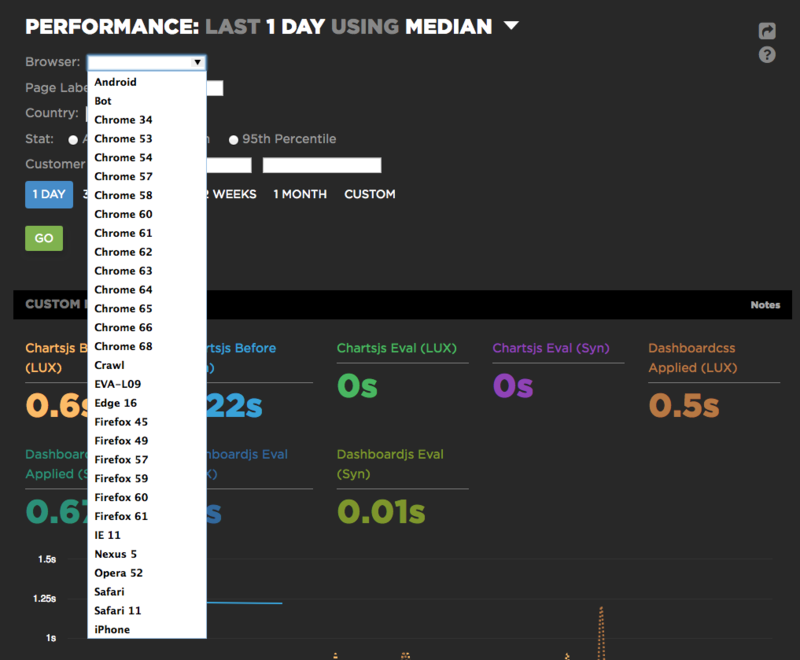 To do that, you'll want to create custom charts in your Favorites dashboard. To make sure your website stays fast, setup some performance budgets so you can see if there are any regressions. Performance budgets are a vital tool in your web performance toolbox. They take the hassle out of monitoring performance by notifying you (by email, Slack, or HipChat) whenever your LUX metrics cross a certain threshold. 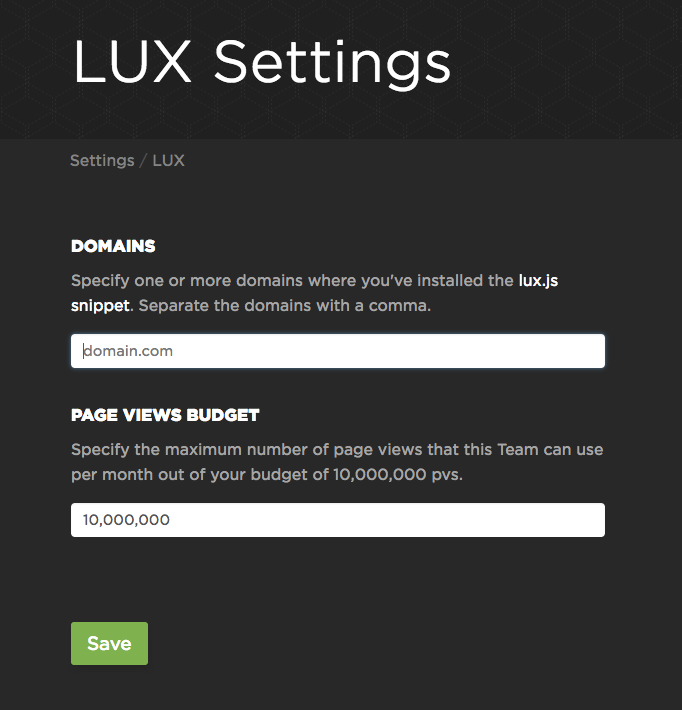 To add more domains to your LUX monitoring, go to your Settings page, scroll down to the bottom, and hit the "Edit LUX" button. This will take you to a page where you can add domains and allocate pageviews from your LUX budget. Note that adding more domains will increase your total number of RUM page views. If you're getting close to your monthly cap, you can choose to either adjust your sample rate (as described in step 3) or contact us about increasing your monthly cap.